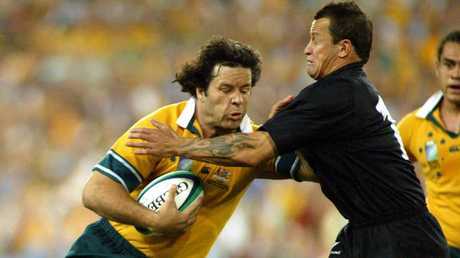 David Nucifora during his days as the Wallabies assistant coach. Employed as Ireland's high performance director, Nucifora has been instrumental to the Grand Slam winners' climb up the rankings to No 2 to sit among the World Cup favourites alongside New Zealand, who they beat last month. Cheika will present his case to Rugby Australia chief executive Raelene Castle and the board while high performance boss Ben Whitaker will also submit a review of the Wallabies' season. With nine months until kick-off for the World Cup in Japan, and given RA's precarious financial situation, it's unlikely Cheika will be axed. However, his assistants Simon Raiwalui, Stephen Larkham, Nathan Grey and Mick Byrne are in the firing line. Carlos Spencer tries to tackle Brendan Cannon during the 2003 Rugby World Cup semifinal. Cannon believed RA should immediately bring in an independent selector to help arrest the Wallabies' slide - after four wins and nine losses in 13 Tests this year. He said RA should be targeting a return for former Super Rugby winning Brumbies coach Nucifora, who has been with Ireland since 2014. 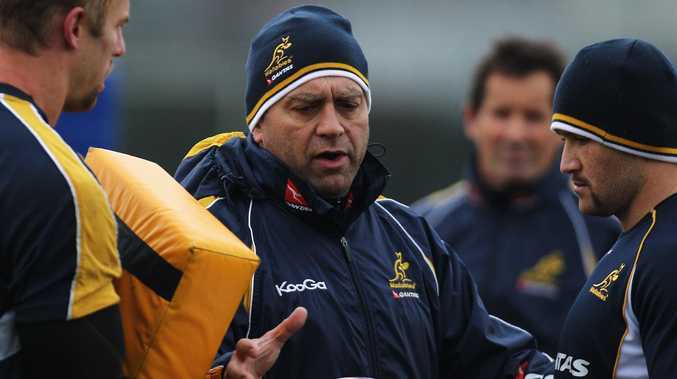 Nucifora held a similar position with Australian rugby and tried to introduce a centralised player system to align Super Rugby teams and the Wallabies, but ran into roadblocks before his 2012 departure. 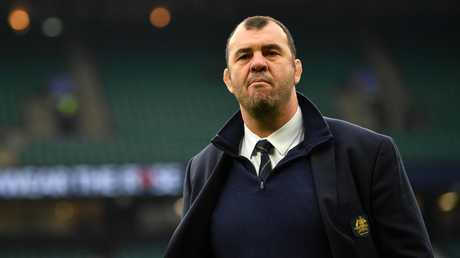 Michael Cheika will front Rugby Australia on Monday. Ireland have developed a streamlined national system under Nucifora with all coaches, players and football related staff centrally contracted across all the provinces. All big decisions in player workload, talent pathways and player distribution are overseen with the national team's interest in mind. The timing post World Cup may work in Australia's favour, with Ireland's head coach Joe Schmidt, who Nucifora works closely with, already announcing his planned departure after the tournament. "Rugby Australia should be mortgaging the bank and the house to get David Nucifora back to allow him to implement carte blanche, free rein, a centralised system," Cannon said.